Sultan Ahmed Bin Sulayem – Chairman and Chief Executive Officer of Dubai Portland World says the logistics firm’s decision to open a subsidiary in Rwanda was purposely to make landlocked countries free from market barriers. The Dubai port operator established $80 million project subsidiary in Rwanda – meant to reduce on the cost and duration traders have been incurring to move their goods from the main ports in Mombasa (Kenya) and Dar-es-Salam in Tanzania. Speaking at the Africa Emergence Conference 2019 in Dakar, Senegal, Sulayem said: “We believe in connecting landlocked nations to the world and international markets. Our logistics park in Rwanda will reduce costs across the country and region,” he said. Highlighting the importance of developing a logistics infrastructure, Sulayem mentioned investments in Rwanda and Mali saying: “The Price of container moving from Shanghai to an East African port is anywhere between $500 to $1000, the price of same container from the port to Kigali is $5000,” he added. With a portfolio of 78 operating marine and inland terminals supported by over 50 related businesses in over 40 countries across six continents, DP World is a leading enabler of global trade and an integral part of the supply chain. The firm’s Rwanda subsidiary awaits official launch, according to officials on ground. Sulayem told African leaders at a Dakar conference that the key to African economic emergence lies in removal of barriers, increased connectivity between nations and infrastructure development. “We be believe in the viability of Africa, we believe in investing in the continent during our investment in Senegal we improved efficiency and volumes 135 percent in 10 years,” he said. Addressing a panel on how private institutions can help support emergence in Africa with President Macky Sall of Senegal and Prime Minister Mahatir Mohammed of Malaysia, Sulayem explained how economic emergence is dependant on increasing inter African trade and infrastructure development. “The Removal of trade barriers is very important. In Africa tariffs are 50% higher than in Latin America and Asia. Intra-regional trade in Africa is only 12% while in Europe, Asia and Latin America is over 50%, we need to improve this to prosper,” he added. Based in United Arab Emirates, DP World has operations in Senegal, Egypt, Mozambique, Somaliland, Rwanda and Algeria and has recently signed an agreement with the Republic of Mali to develop a logistics platform and the Democratic Republic of Congo for the countries first deep-sea port. 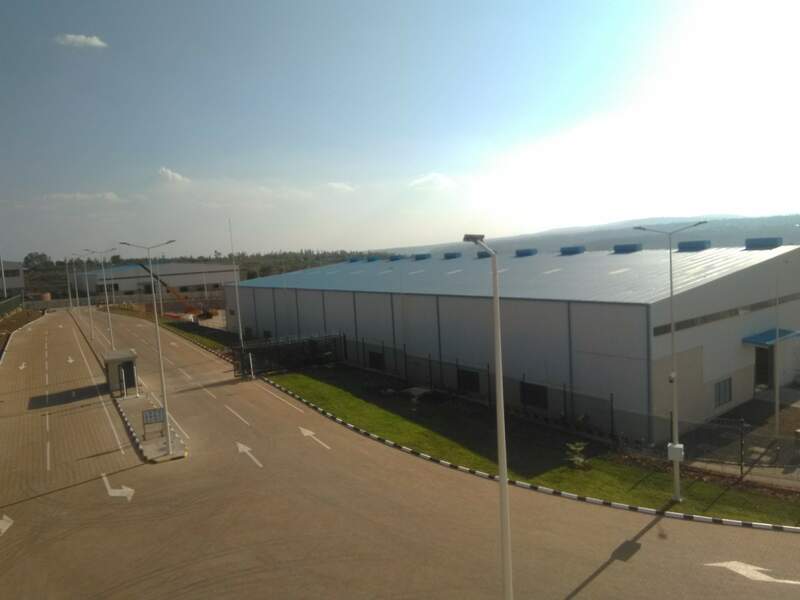 Rwanda is the company’s first landlocked country to operate its logistics park. The Kigali subsidiary will provide a one stop shop for all logistics requirements and cargo services. The first phase, which is already operating the go live test, includes a container yard and goods storage facilities, space for cargo forwarders, shippers and transport operators. The first phase will host a 12,000sqm2 container yard with a capacity to hold 50,000 units and two 19,600 sqm2 warehouses with an estimated annual capacity of 640, 000 tons each.